This page is regularly updated. If a sermon you would like to hear has not been posted please contact our office and we would be happy to get you a copy. On July 8th we invited Ray and Bonnie Emery to share about their ministry in Thailand called "Nuu Rain." There ministry is to extend the love and care of Jesus to women with HIV aids. We know you will be encouraged as you listen to Ray share about the compassion of Jesus. During this service we took time to specifically thank a number of people who serve in our twelve ministries. Though this moment was not included in our sermon recording, it was very special to celebrate and acknowledge these amazing people. Note: Week 3 is unfortunately unavailable. 1 John 2:6 challenges us in our Christian living; to live as Jesus did. In this 4 week teaching series we are studying the life of Jesus to be equipped with His model of Christian living. Consider these sermons as a means of growth towards being more like Christ, as we gain tools to live as He did. *Please note: the Week 1 of this series is not available. Join us as we dive into the scriptures over the next several week as discover PRAYER - It's Value and Purpose! ​It is our heart that you be ignited with a passion to pray. It is our desire that you find yourself regularly in the lap of our God spending time with Him! Lets pray! Lets spend time with our God! Dave Wicks is our Apostolic Church of Pentecost - Regional Director. Dave walks closely with our church leadership and has a significant voice into our church. Norm Bonk is the President of "Debt of Love Ministries." a ministry that we as a church support on a monthly bases. It is a privilege to partner with Debt of Love Ministries as they equip people in the country of the Ukraine with Bible/Ministry training so the can then in turn take the Gospel to their countryman. In this sermon Norm shares a lot of testimony of the power of prayer as he teaches us 3 facets of prayer. Give this sermon a listen, we know your prayer life will be strengthened! Jump on into the water with us. - and puts the focus back on Jesus. Give this sermon a listen and join us at the Lord's table. There is a seat for everyone! As true diciples of Jesus Christ we strive to live our lives given fully to the Lord. As a disciple of Jesus we are continually growing in our relationship with our Lord. In that growth we are giving Him more and more of our self to Him. Join us on this journey of surrender as we give the Lord our LIVES, our HEARTS, our ALL! on June 18th we had a great time honoring and celebrating our dads! As part of this celebration Pastor Tim took some time to honor our dads through this teaching from 1 Chronicles 22. Dads, thank you for sharing your wisdom, using your position and connections, and giving your blessing! Because of you we are set up to succeed! As a church we talk a lot about "Extending Grace and Igniting Hope in Jesus Christ!" We consider this to be our "mission statement." Have you ever wondered how we plan on Extending Grace or Igniting Hope? Give these sermons a listen and find our how! We are a church on a mission to 'make disciples of Jesus through extending Grace and Igniting hope! It is Mother's Day and it is our joy as a church family to honor and encourage our mothers on this special day! As we look at Moses' mom and what she did for him early in his life in Exodus 2:1-10 we find some amazing points of honor and encouragement for our moms. As we studied these three points of definition we discover more fully what it means to be a Christian. At the end of listening to this teaching may you be able to confidently say, "As a Christian I AM..."
The Cross and the Resurrection are monumental to the Christian faith. The Bible teaches us that we need to respond to both the cross and the resurrection. 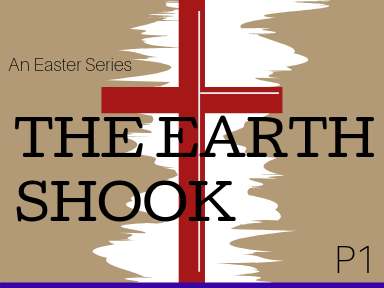 It is the intent of this Easter series to help us better engage and interact with what Jesus did on the Cross and in the moment of the Resurrection with final result being greater relationship with our Savior. Journey with us on the Easter Road into greater relationship with Jesus Christ our Savior! It is our belief that God desires for Marriage to be a "Piece of Heaven!" It is in this 4 week teaching series that we discover tools to help every marriage become stronger and healthier. It is going to take work... It may even be a little difficult at times to apply these tools; but your spouse is worth it! Your marriage is worth it! God wants the best for your marriage - He wants it to be a Piece of Heaven!